What I would like to do is run the full size version as the kits have just recently come out. Given that they are within an inch of a warhound I believe it would work to run with those rules from the apoc book. With the addition of the reaver titan CCW rules. As for the giant gatling gun... can it be a turbo laser destructor? Please let me know so that I can get down to planning and have them painted and ready. I would almost bet MWG will come back and say "Pick one", as trying to combine a warhound plus reaver weapon would be chaos to your opponent, and how do you pick how many additional points it would be? Agree with jj3, run it as a Reaver... I believer there is a variant without the top carapace weapon. I'm likely just weird- rather I certainly am. I couldn't care too much if it isn't size appropriate. If it's bigger than the rest of the regular stuff in your army, and you're not repeating this with multiple different models, then at least for me I wouldn't find it detracting or distracting from the battle. I'd say it's not too far off for a Warhound, as a Reaver it would be pushing it quite a bit. This is from the original resin release, but I believe the plastic is of the same size. The Titan Legions (Legios) are part of the Mechanicium... Because GW hasn't made an Adeptus Mechanicius list Titans and some other super heavies have fallen under IG. I have reached out to Matt and have a thumbs up to run it as a Warhound albeit with 1 ranged and 1 ccw. 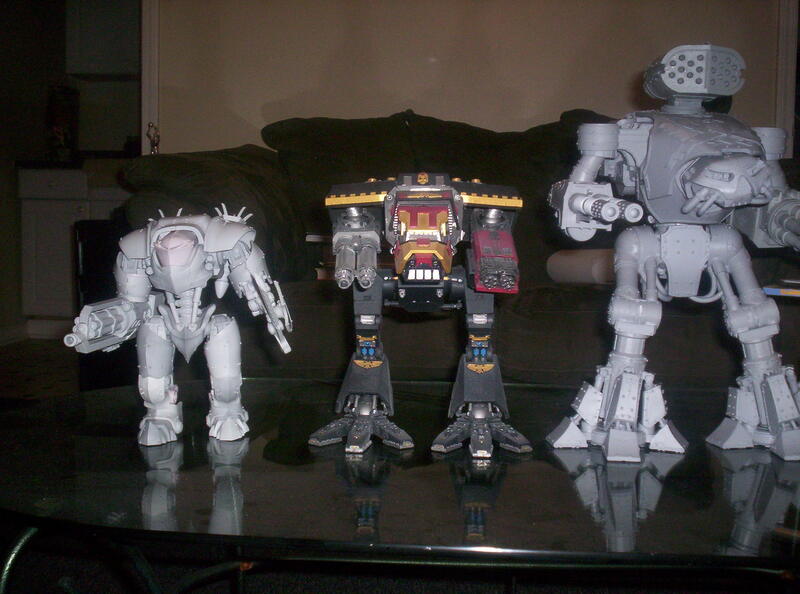 There is a comparison shot on the net showing a finished leviathan beside a warhound and a reaver. The production unit is almost as tall as the warhound it just doesnt have the depth. The great thing about the kit is that you can buy multiple arms as the lucky poster above noted who got in on the kickstarter. Lastly I think that the kit lends itself quite easily for a choas conversion. Now its a matter of ducking all the D templates.